At SouthTown Watersports we now offer in-house fiberglass and gelcoat repair in Charlotte! 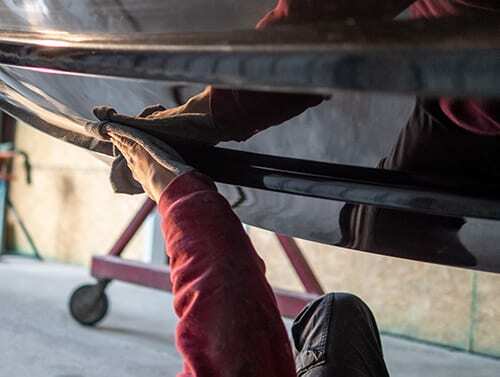 Our gelcoat repair shop is fully equipped to handle everything from a simple scratch, a small ding from the dock, or larger damage that may require fiberglass repair. Our technicians are factory trained and certified to repair all of the brands that we sell. They are also able to repair any other type of fiberglass and gelcoat regardless of the brand. Just like every other service that we offer, you can rest assured that you'll get the highest quality fiberglass and gelcoat repair along with a company that will back their work for years to come. To schedule your gelcoat repair appointment please click the button at the bottom of the page, or click the call us button to speak with a SouthTown Watersports representative. Our fiberglass and gelcoat repair process depends heavily on the severity of the damage. A full repair is generally a six step process. For severe damage we must first remove any excess fiberglass from the damaged area by grinding it out. This ensures proper bonding and a repair that will hold up to the test of time. Once the excessive fiberglass has been removed we fill the region with a marine grade fiberglass resin. We take our time when color matching your gelcoat to make sure the repair isn’t noticeable. Once the color has been sprayed it is time to add the coat of gel to protect the freshly sprayed color. The final step of our process is wet sanding and buffing the surface to make it look as if there was never any damage in the first place. 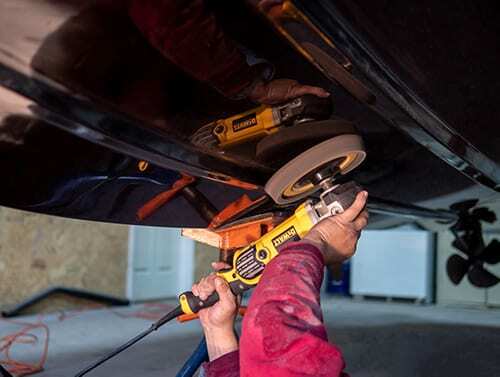 Schedule your fiberglass and gelcoat repair by clicking the button below. Have additional questions? Give us a call, one of our representatives will be more than happy to help. We are also equipped to handle larger insurance jobs.